When Ash sees the Legendary Pokemon Solgaleo and Lunala in a dream, he makes a promise to them. But when he wakes up, he can't remember what it was! Will the strange Pokemon called Nebby help jog his memory? Along with their new friend and the rest of the students at the Pokemon ... read full description below. When Ash sees the Legendary Pokemon Solgaleo and Lunala in a dream, he makes a promise to them. But when he wakes up, he can't remember what it was! Will the strange Pokemon called Nebby help jog his memory? Along with their new friend and the rest of the students at the Pokemon School, Ash and Pikachu explore the Aether Foundation, an organization dedicated to Pokemon conservation and care. 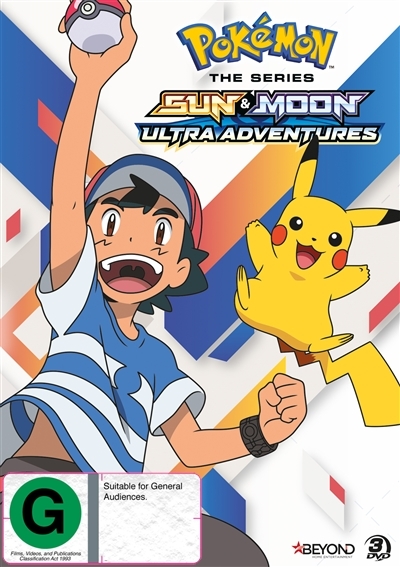 But it may not be as innocent as it seems, and Ash and his friends will have to work together to protect the people and Pokemon they care about as they face a mysterious power like nothing they have ever seen.